The S.E. 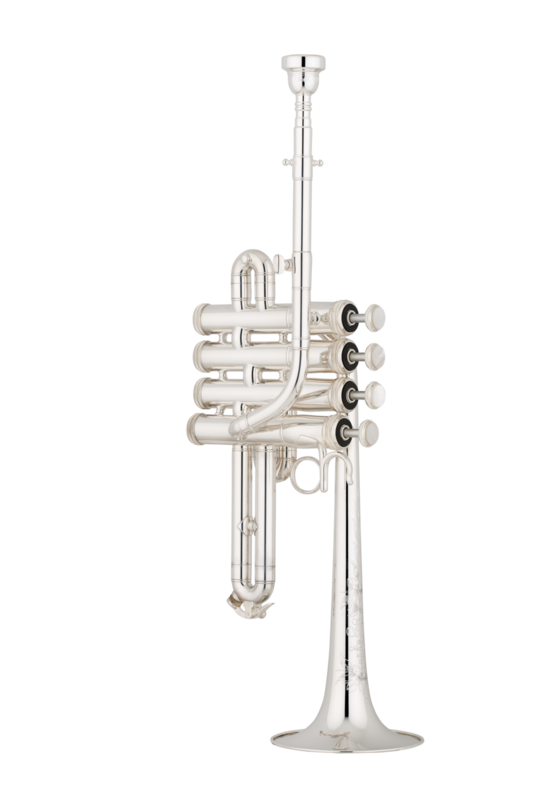 Shires Piccolo Trumpet in B♭and A offers superior intonation, accuracy, response, and ease of playing in the high register coupled with a rich, beautiful sound. Agile enough to perform the most delicate solo and chamber music, it offers power enough to project through the largest ensembles. S.E. Shires Co. handcrafts its piccolo bells using the same artisanal processes employed in the manufacture of its larger bells, resulting in the same superior playing characteristics and richness of sound. The solid four-valve cluster with yellow-brass balusters adds stability to the playing feel of the instrument, as well as complexity and warmth to its sound. The unique, ergonomic placement of the fourth valve allows it to be played comfortably by either the right or the left hand. 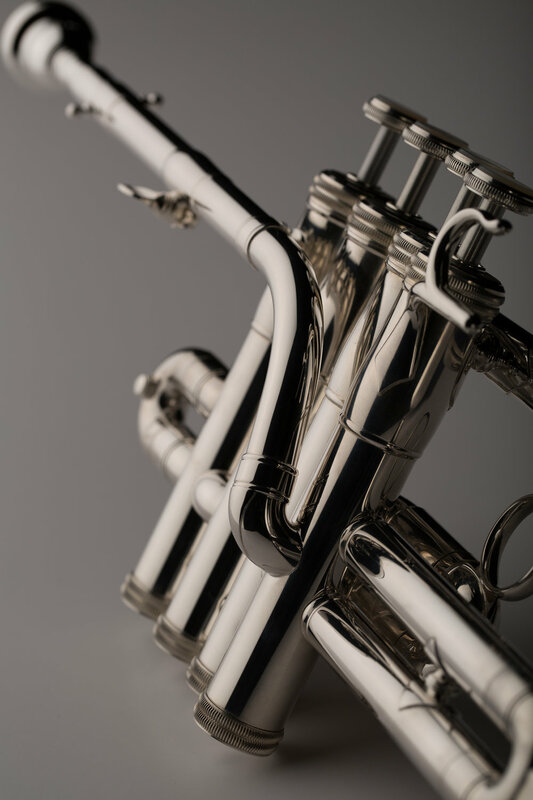 The instrument comes complete with four tunable leadpipe bits, allowing the player to perform in B or in A on either cornet- or trumpet-shank mouthpieces.